Does the name Manford Mancx mean anything to you? It will soon if Q&A site Mancx has its way. Oh, and get this: It actually charges users for its services. Apparently that’s how they do it in Sweden. 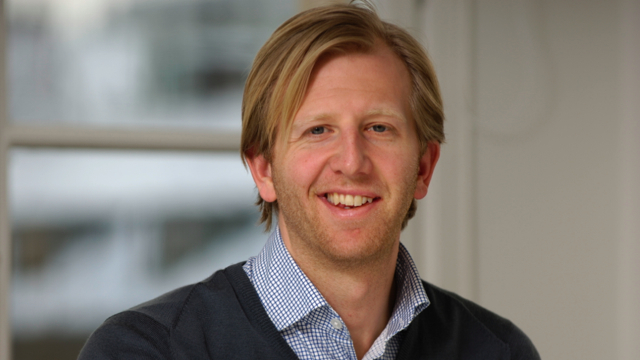 Henrik Dillman is the CEO of Mancx, a question-and-answer site with a twist: It’s not free. Mancx just opened a new office in San Francisco this week, giving it dual headquarters in the U.S. and Sweden. Dillman spoke to us, he said, from “a deserted island in the Swedish archipelago.” The call only dropped once. FAST COMPANY: How’d you get the idea for Mancx? HENRIK DILLMAN: A few years back, Mattias [Guilotte, Mancx’s cofounder] and I were as usual having our beers and thinking about what to do when we grow up. Mattias had read a book by Charlie Stross called Accelerando, where the main character, Manford Mancx, is an information broker in the future. We realized how hard it was to get a hold of good, solid information online. We decided to create a marketplace for information. Say you need to know where your competitor is buying or sourcing their material, for example. Mancx enables people to buy and sell this information. The example you give sounds like something close to corporate espionage. We’re all about the transfer of legal information. We like to call it “public secrets,” because it’s not a secret, but it might be really difficult to get a hold of it. According to the terms of service, people using Mancx are not allowed to transfer information that they’re not allowed to. The buyer on Mancx can rest assured that everything you’ll buy is solid. We’re fully transparent, so Mancx is a really bad place to do shady business. Academics divide information into three categories: advice, opinion, and factual information. On Quora or any other free site, you’ll get advice and opinions, but you cannot expect to get factual information that you can use in your business. If you take it one step further than Mancx, there are firms that work with research or packaged information and consultants, like Gerson Lehrman Group. We’re a step in between. It underscores how weird the Internet economy is that your innovative business idea is charging. Most U.S. startups would start by collecting a huge user base and in two to three years’ time try to find a business model. In Sweden, where we come from, investors want to see a business model. In the U.S., in the startup economy, everything that has to do with charging is looked at as something very strange, but I think that’s changing, because quality does come with a cost. What’s the average price of an answer on Mancx? The average posting value is $270; the average transaction size is $150. Once you’ve posted a question, you can enter the negotiation phase, where you can chat and check out each other’s profiles and ratings. The information sellers have is almost never exactly what the buyer is looking for, so then they adjust the price. We see sellers very keen on lowering the price, because they want good ratings and satisfied customers, like everyone else. We take 20% and the respondent takes 80%. You have a money-back guarantee if an answer doesn’t measure up. It’s not used often at all. We have less than 10 claims on the money-back guarantee. You just opened an office in San Francisco. How’s that going? It’s become extremely clear the Valley has what we need to succeed. I’ve read a few articles recently promoting Europe as the new startup scene, but the Valley is still way superior for a company like ours to grow. We have funding, and we’re not actively pursuing investors. Rather it’s the entrepreneurial spirit, and the possibility to build a crowd of early adopters. If you go to a bar in San Francisco and meet someone your own age, what they do back when they go home is they try your service. If you do the same thing in Sweden, they’ll slowly think, “Is this guy mad? Has he left a paid job?” We think we can build a crowd much faster in the U.S. and also make things a bit easier by being surrounded by people who actually do believe in us. Entrepreneurs need a lot of TLC.